Candidly fielding questions with an easiness that belies his age, Crest Builder Holdings Berhad executive director Eric Yong who turns 31 this year, shared the concepts and insights into the upcoming projects that the company will be launching for 2014. 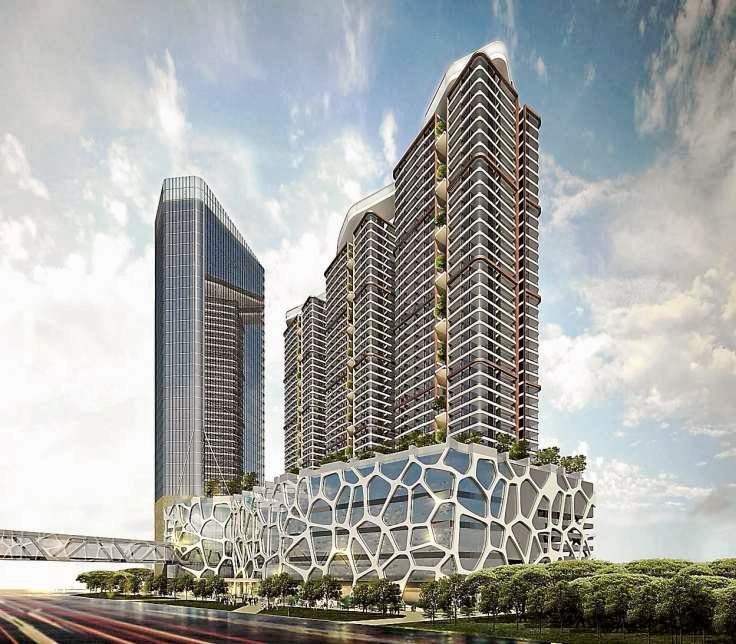 Kelana Jaya will soon have a new mixed development with two 30-storey tower blocks housing residential units and one block dedicated to commercial office units. Crest Builder has already secured the land for this project with a GDV of RM1bil that will sit on top ofa six-storey podium that wraps around the Kelana Jaya LRT station. “We have an unconventional way of land banking. We don’t engage in land bank deals unless the price offered is something we cannot refuse. Instead, we look at government land swaps for government assets rather than using conventional outright purchase, as the latter would result in a heavier burden on cash flow. So, we feel that the privatisation method is like an easy payment plan, even though the process is more arduous,” explained Eric. This innate ability to strategise and arrange for win-win situations also sees the versatile foodie and coffee lover taking time to savour delicacies wherever his work takes him, be it all over Kuala Lumpur, Muar or Johor Baru. “One of my key enjoyments is food – so if I have a project in Selayang, I’ll spend three hours on the projects, and an hour on good food as well as exploring and observing the area,”he said illustrating the importance of making full use of his time. Eric believes that any experience – even if it is merely shopping at the mall, can yield benefits by providing fresh insights and new inspiration, if one is observant enough to “steal ideas”. Even over the course of the weekend, with Sundays being a family affair, work takes precedence. “Our regular Sunday breakfasts are like a meeting where 70% of the time is dedicated to work details and updates. And, dinners are like half board meetings where all the executive directors – all four of us are at the same dining table. More than half of the things we talk about are about work,” chuckled Eric. 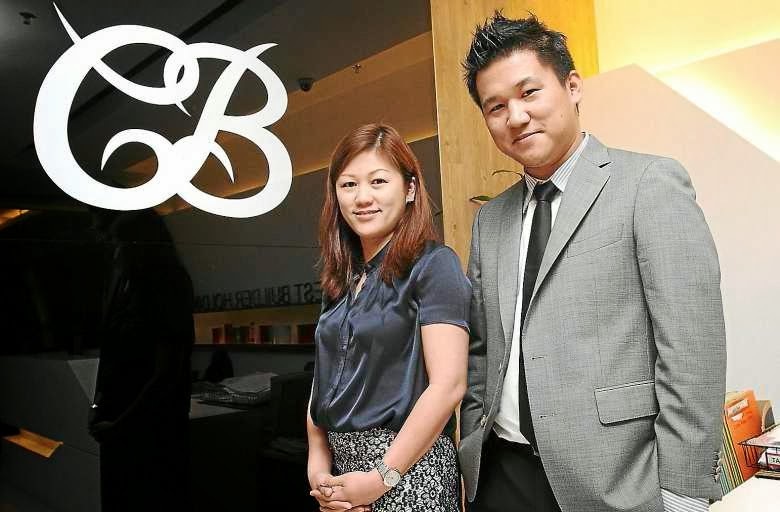 His siblings include sisters Rachaelle, 36, who handles the legal aspects; Tiok Keng, 35, who heads the finance aspects of the operations and Tiok Nee, 26, who oversees the contracts, operations and building maintenance. ”Property development is not an easy industry. For those who venture into property, the key point is knowledge. So, if I have a development on Jalan Ampang, I will get my staff to research every single project that has not been launched and their selling prices, within a 5km vicinity. If my current approval is 40 storeys and if we build at the same time as the other developer with 40-storey towers, my project could be overshadowed. Therefore, it makes sense to go on an amended approach. “I find that knowledge is power. When we talk to owners and landowners, they will know that we have done our super homework. Real estate agents may have the figures but they may not be knowledgeable. If there’s a new launch – our sales staff will recce the launches. We also network closely with the agents and we’ll be running online forums.One thing that I try to advise my sales and marketing team is the fact that they need to know what they are selling,”he stressed. Sharing his thoughts on the property market this year, Eric opined, ”I think that since the Budget 2014 announcement was not the most favourable for the property sector, I anticipate a knee-jerk reaction probably within these four to six months. But, right after that, I expect the Malaysian market to hit a new high. It's quite normal for Malaysians, being Malaysians, to adapt as wefre actually a very adaptive society. I foresee sellers will simply pass on the cost for RPGT (Real Property Gains Tax), so you will see the market hitting a new high.” Eric states that he has no particular favourite colour as he believes that life comprises of a montage of colours and is, in its essence, colourful. ”Certain days could be blue days and some other days are more colourful,” he said. Having achieved a milestone – with the group celebrating its 30th anniversary last year, it looks like all the hard work has paid off. ”My dad says that nothing is too difficult and nothing is being done now, that has not been done before. He feels that what we are going to do, has already been done before. He’s not the type of person who will guide us all the way. So, you need to find out whatever you don’t know, instead of asking him,” chipped in Crest Builder executive director Tiok Keng, who is a graduate in accounting and finance from the London School of Economics. ”His logic is that what we are doing is not rocket science. So, whenever we face any difficulty, we need to try to find out the appropriate solution.” She agrees with her brother that the biggest contrast between yesterday’s and today’s work approach would probably be the changing culture of the workplace. While previously, the older employees tended to be very loyal, Gen Y requires a more open and softer approach to things.